Rapidyl.net is the PUP that uses misleading techniques to prevent removal. Use Reimage to locate malicious components and get rid of them faster than with uninstall instructions. A full system scan blocks virus reappearance and prevents traffic to malicious domains. 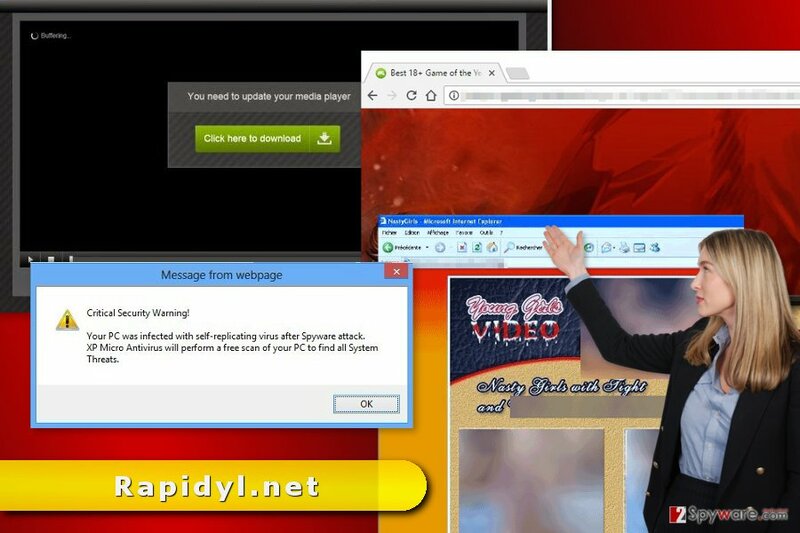 Rapidyl.net is a suspicious adware program that initiates redirects to potentially dangerous websites. You can suspect PUP infection if your browsing sessions are continuously disturbed by redirects to pornographic or other dubious websites. The virus aims at the most popular web browsers, such as Google Chrome, Mozilla Firefox, and Internet Explorer. Redirects to Rapidyl.net usually starts after installation of a free program. Usually, these activities are caused by adware that may have sneaked inside with the help of other software. Once inside, this program makes modifications on Windows, might alter browser’s settings and start bothering with commercial content. The scheme of the Rapidyl.net virus is simple. 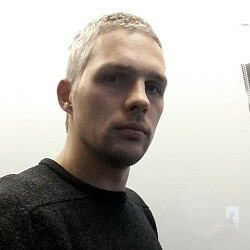 Developers of the app generate revenue by forcing users to visit various websites. The problem with this business is that authors of the PUP do not care about user’s preferences. Commercial content is delivered in an aggressive manner and might be malicious. Rapidyl.net redirect problems are not only related to diminished browsing experience. Users might also end up on infected, scam or other misleading websites that might trick into installing bogus software. Because of this ad-supported program, users might suffer from cyber crime. Security experts suspect that adware might also be capable of spying on the users. Data tracking is quite a common activity of ad-supported applications. This program is suspected of collecting browsing-related information that cannot identify the user personally. However, aggregated details might be shared with unknown third-parties or advertising networks. As a result, your browser might suffer from even bigger ad attack. We have no doubts that you do not want to see more offers to download suspicious programs or be redirected to flagitious sites. Thus, you should remove Rapidyl.net right now. Security experts agree that the best way to get rid of the adware is to use reputable malware removal program. Indeed, numerous tools claim to help to wipe out malicious components from the system. However, our team recommends Reimage for Rapidyl.net removal. 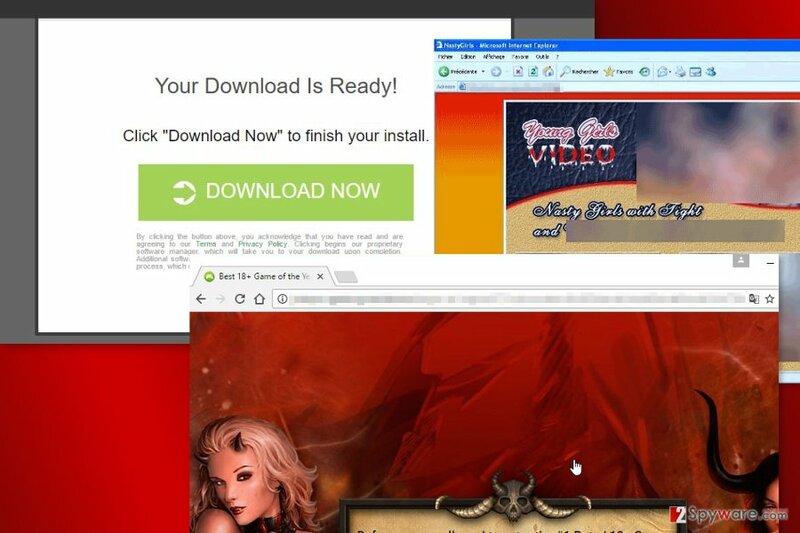 Rapidyl.net virus usually redirects to adult-themed websites; however, it might also display misleading ads. Various file-sharing websites and networks offer to download lots of programs for free. Some of them are illegal, and some not. However, in both cases, you might install more or less dangerous application. The same problem exists not only in the United States, but Germany, Turkey, and other countries as well. The Rapidyl.net hijack might have occurred when installation of freeware or shareware was achieved using Recommended/Quick wizard. The negative feature of these settings is that they may not inform about optional downloads and install them silently. For this reason, new software must be installed under Advanced/Custom settings that allow seeing the list of additional programs. These entries are pre-selected, so you just have to unmark them, and that’s all. PUPs cannot enter your PC. It’s not hard to eliminate adware either manually or automatically. Technically, this cyber infection is not a virus; it’s a potentially unwanted program. So it should not be difficult to remove Rapidyl.net from the PC. uninstall all suspicious programs that were installed recently without your knowledge. remove unknown browser extensions, toolbars or plugins that may have been installed to each of your browsers. reset each of the web browsers. Detailed and illustrated instructions are presented below the article. However, if you continue dealing with redirects, you should opt for the automatic Rapidyl.net removal option. Sometimes adware protects itself by installing additional components that protect it. These entries might be impossible to detect manually. Thus, in this case, security tools help a lot. These guidelines will help you to terminate Rapidyl.net virus from Windows entirely. Here, look for Rapidyl.net or any other recently installed suspicious programs. Wait until you see Applications folder and look for Rapidyl.net or any other suspicious programs on it. Now right click on every of such entries and select Move to Trash. After the hijack, you have to get rid of adware components from the Explorer. When in the new window, check Delete personal settings and select Reset again to complete Rapidyl.net removal. As soon as you delete suspicious entries from the PC, you have to take care of Microsoft Edge as well. Once these steps are finished, Rapidyl.net should be removed from your Microsoft Edge browser. Redirects to Rapidyl.net and other suspicious sites might be triggered by some browser extension that may have been installed to Firefox silently. Thus, get rid of it! Here, select Rapidyl.net and other questionable plugins. Click Remove to delete these entries. Now you will see Reset Firefox to its default state message with Reset Firefox button. Click this button for several times and complete Rapidyl.net removal. Uninstall unknown browser extensions and reset Chrome to get rid of Rapidyl.net adware. Here, select Rapidyl.net and other malicious plugins and select trash icon to delete these entries. Click Reset to confirm this action and complete Rapidyl.net removal. Here, select Extensions and look for Rapidyl.net or other suspicious entries. Click on the Uninstall button to get rid each of them. Now you will see a detailed dialog window filled with reset options. All of those options are usually checked, but you can specify which of them you want to reset. Click the Reset button to complete Rapidyl.net removal process. ^ Steve Morgan. Top 5 cybersecurity facts, figures and statistics for 2017. CSO online. The latest information and best practices on business continuity and data protection, best practices for prevention of social engineering scams, and more. ^ Have you decided what anti-spyware software you are going to choose in 2017?. Esolutions Blog. The blog about recent cyber security news and threats. ^ DieViren. DieViren. German site about computer viruses and their removal. This entry was posted on 2017-07-25 at 05:59 and is filed under Adware, Viruses. You can quickly scan the QR code with your mobile device and have Rapidyl.net virus manual removal instructions right in your pocket. How did you remove Rapidyl.net virus?